As Senior Adaptation Planner for The Water Institute of the Gulf, Colleen McHugh uses her background in city planning and urban design to explore the interrelationships among infrastructure, social, and natural systems with a focus on helping cities and coastal communities develop visions and actionable strategies for adapting to thrive in the face of a changing environment and climate. McHugh has more than nine years of experience in urban planning and resilience work. McHugh joined the Institute in 2018 from the City of New Orleans where she was instrumental in the development of the city's award-winning Resilience Strategy, the city’s first-ever Climate Action Plan, and the design and implementation of green infrastructure and nature-based solutions. She was a core member of the team that developed the city’s $141 million award-winning proposal to HUD’s National Disaster Resilience Competition and guided the early implementation of a network of projects in the Gentilly Resilience District that will reduce flood risk while providing other community and climate benefits. In addition, she was responsible for the customization of decision support tools for the City of New Orleans including the Deltares Adaptation Support Tool (AST) and the Trust for Public Land Climate Smart Cities Tool. 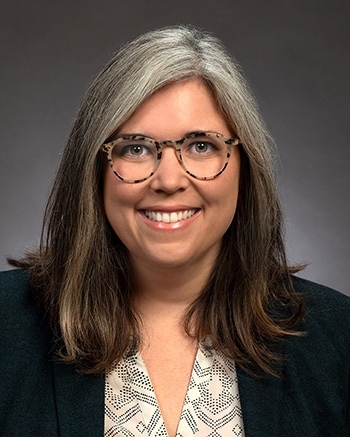 Prior to working for the city, Colleen was a Resilience Planning Fellow for the New Orleans Redevelopment Authority (NORA), where she supported the planning, design, and implementation of projects and programs that reuse vacant land for community and environmental benefits. McHugh began her career working on urban planning and policy issues in the San Francisco Bay area. McHugh has a bachelor’s degree in global studies with a minor in geography from UCLA and a master’s degree in city planning and certificate in urban design from MIT. While at MIT, McHugh worked on client-based projects in Houston, New Orleans, St. Louis, Philadelphia, Singapore, and Japan. Colleen was awarded an Excellence in Public Service Award by MIT’s Department of Urban Studies and Planning in 2016 for her leadership in advancing resilience planning and projects in New Orleans.